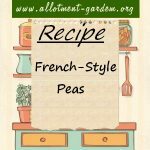 French-Style Peas Recipe - Peas, Lettuce & Bacon Just before the end of the cooking time you can stir in a couple of tablespoons of creme fraiche Serves 4. 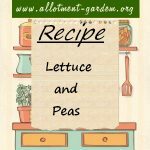 Recipe for Lettuce and Peas. 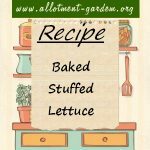 A good way to use up bolting lettuces. You can omit the single cream or crème fraîche if you're calorie conscious. Recipe for Lettuce Vinegar. 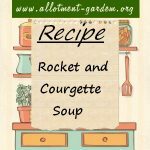 This mixture makes a fantastic dressing when spooned over fish and chips, try it with cauliflower cheese or macaroni cheese. Recipe for Russian Salad. A side salad with a Russian twist. Also a perfect accompaniment to any leftover roast meat. 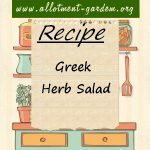 Recipe for Greek Herb Salad. A great starter or side dish which will serve 4 people 'Granny Dumplin' had a career as an award winning chef.